Some say that Freddie is a myth. But you and I, we know the truth. We know that Freddie has always walked among us—from the frozen tundra on down to the swamps of Okefenokee, from the dawn of man on into the unseeable future. He’s a wily creature, and not everyone is ready to see something so strange and unusual. Mailchimp partnered with Reply All to bring you Freddie. 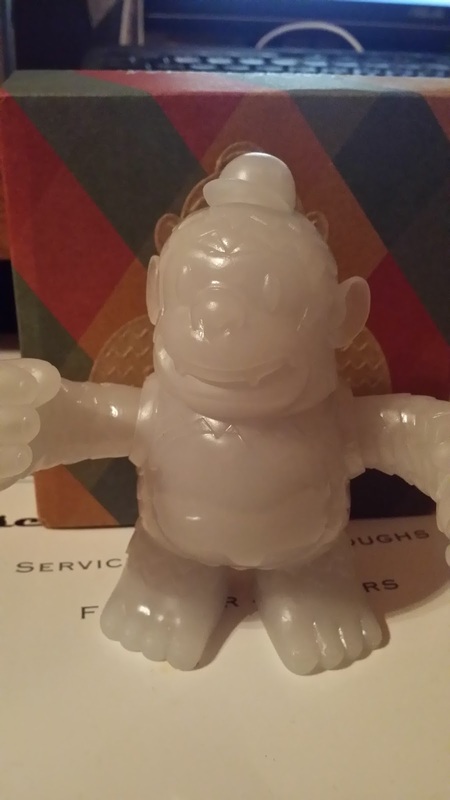 A limited collection of collectible figures that each have their own unique property. 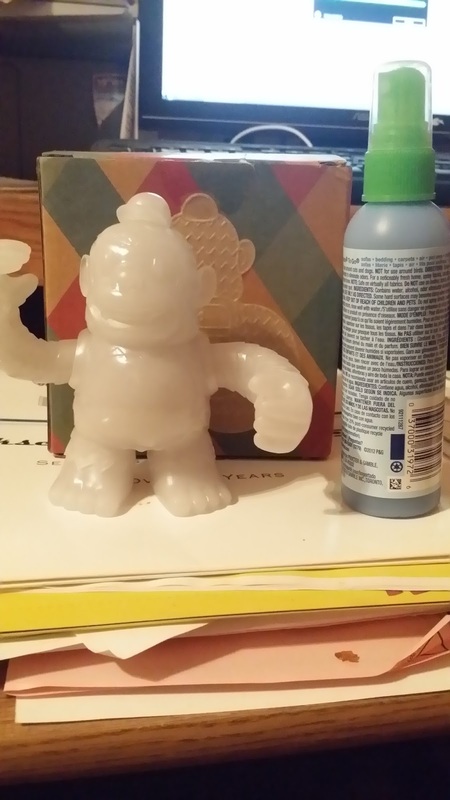 This particular Freddie I received is a glow in the dark Freddie, not that posable with the exception of the his arms being able to twist up and down, and his head can turn 360 degrees. 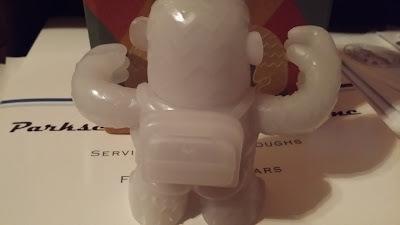 The detail on this figure is pretty amazing as well; from the hat on his head to his backpack and even his fur & ears makes it a figure worth displaying. The box that Freddie comes is something a collector my think is worth keeping. Has this plaid pattern with a textured Freddie on the front and the back of it which gives you an idea of the detail of the figure. 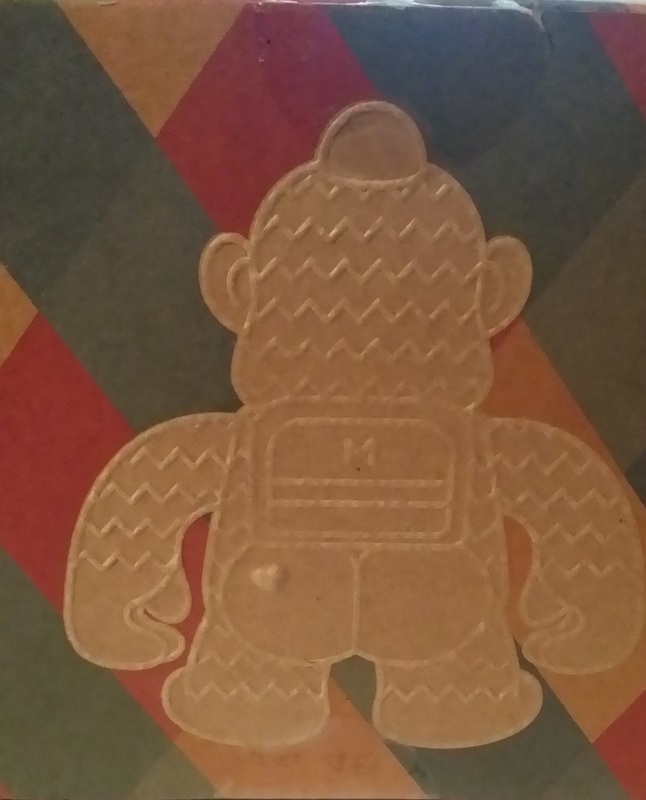 And on the side of it a nice scratch & sniff sticker. This one smiled like lemonade, which was surprisingly good. 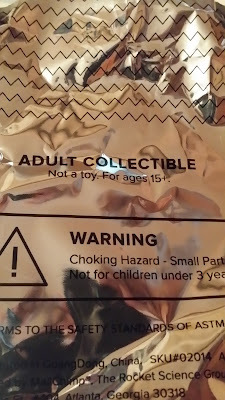 Adult Collectible: Not a toy! 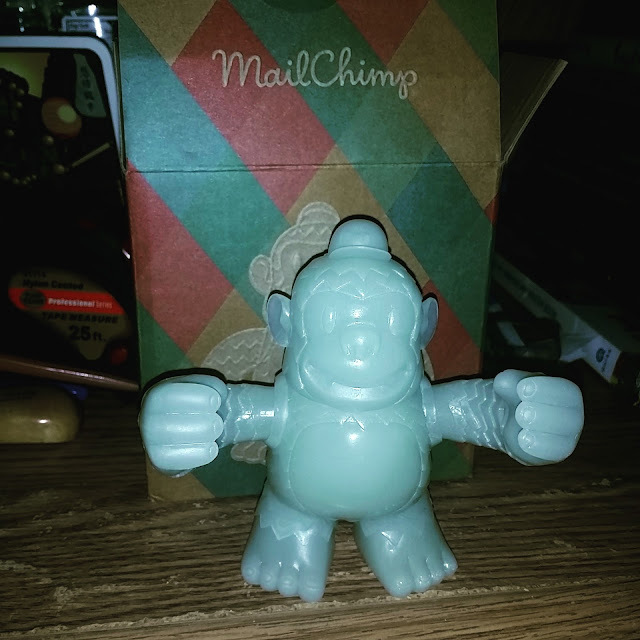 The way to obtain your very own Freddie is to go to http://mailchimp.com/replyall/. Once a new Freddie is available all you need to do is input your name and address and that's it. It's a free promotion, you don't pay shipping or give your credit card info. Once a Freddie is sold out, that's it you will not see that again for a while. 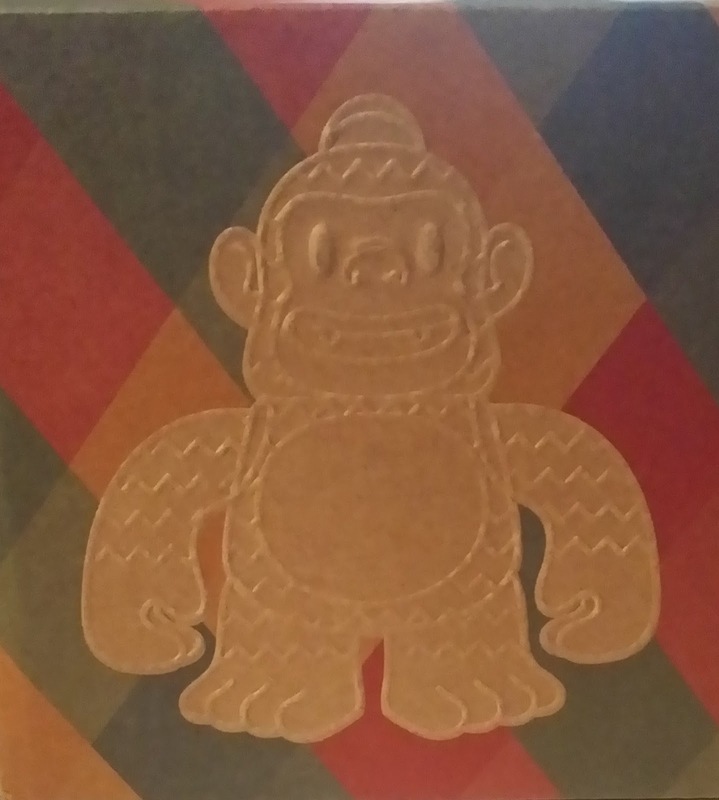 It's about a month for you to receive your Freddie and display it proudly. So far there area 5 more Freddies left that have yet to be released so stay tuned.